Yeah, its solar alright but I couldn't even use it the whole night. It charges pretty well the whole day when the sun is up however, at night it would only give me at most 3 hours. It gives off light too bright which I believe uses up most of its stored battery. Motion sensor is too sensitive, too. 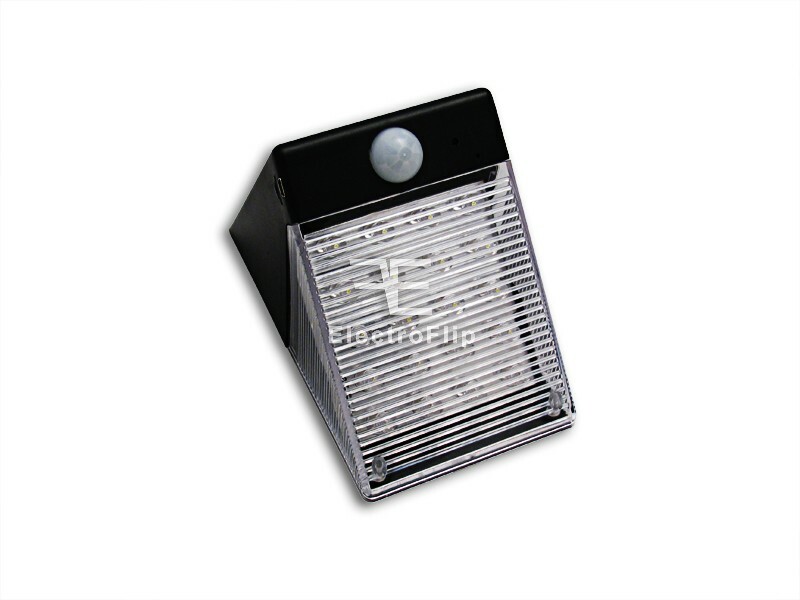 It detects small movements which would cause the camera to give off light and start recording. I should have bought the one that can be connected to the power supply. This is a piece of junk. This is the best security camera I have used. I don't have to keep on charging the device nor connect it to power because if its solar charging capability which saves me a lot with my electrical bill. And, video recorded are very clear. Had one of this device installed in my parents porch for security and planning of getting one for our porch as well. I had some friends over for a cook out in the back yard and people really seemed to thing it was a mosquito or fly catcher. Im happy that they think its a mosquito catcher as someone keeps comming in my yard at night and I want to catch it on video. This device is only good if you are in the tropics. It's not really charging that good. You need to get good sunlight. I don't get good picture quality on this device and it does not charge that easily. Won't recommend it. I bought this device since it is better than buying a night lamp and for the fact that it is solar you can conserve electricity. I just wish it could give you a wider range for taking videos and photos not that I expect much of that function. I have one of these on every entrance to my house (doors). They are also good for helping my find my keys at night. I only got this because it has the solar component. Only wish the video quality was a little better, mostly at night. The really cool part is I havent had to plug it in since the first carge.